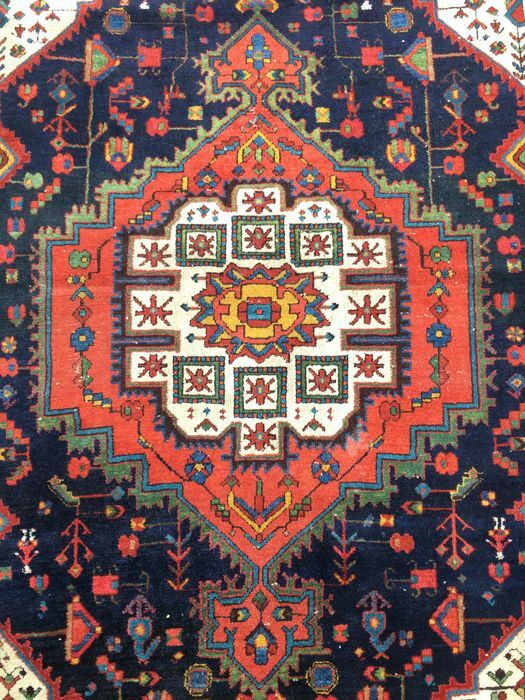 The small city of Enjelas lies 15 km south of Hamadan. 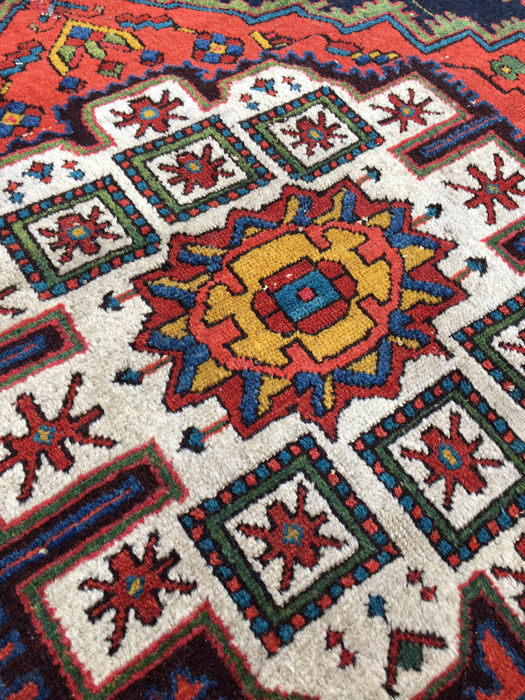 The rugs woven here, bearing the same name, are dense and very hard-wearing. They most commonly feature a design called "Herati", repeatedly woven from edge to edge and in rare cases, with a central medallion. 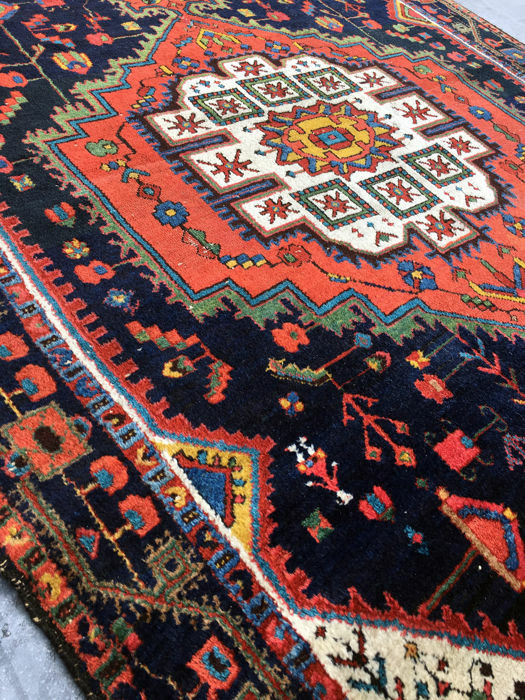 The very high-quality wools used are dyed with natural colours, giving a vibrant look to the rugs. 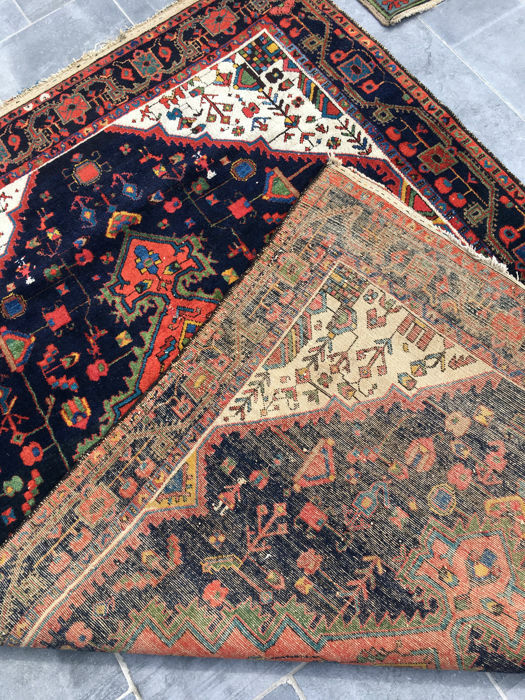 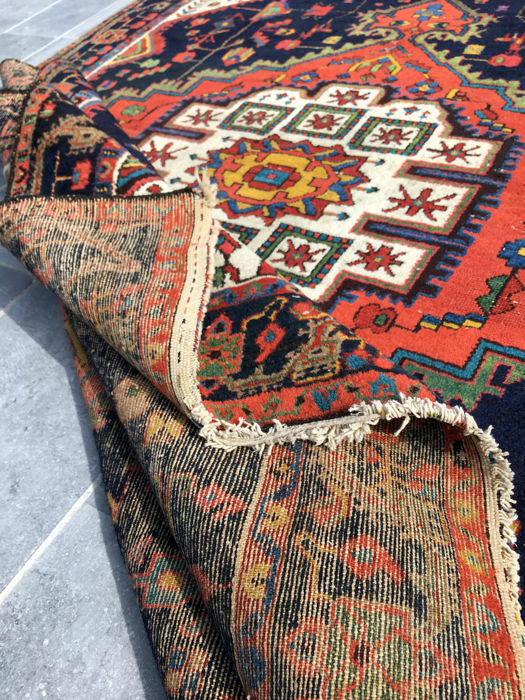 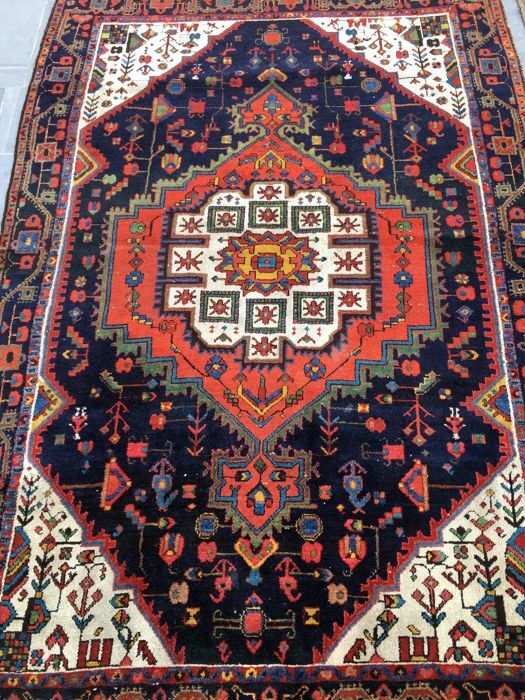 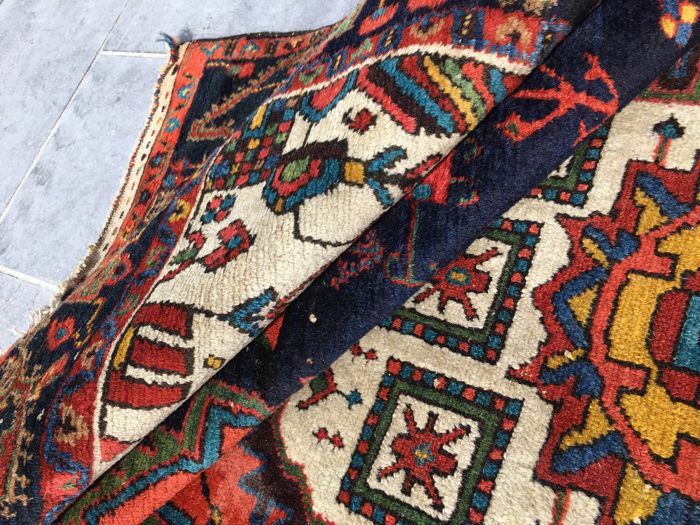 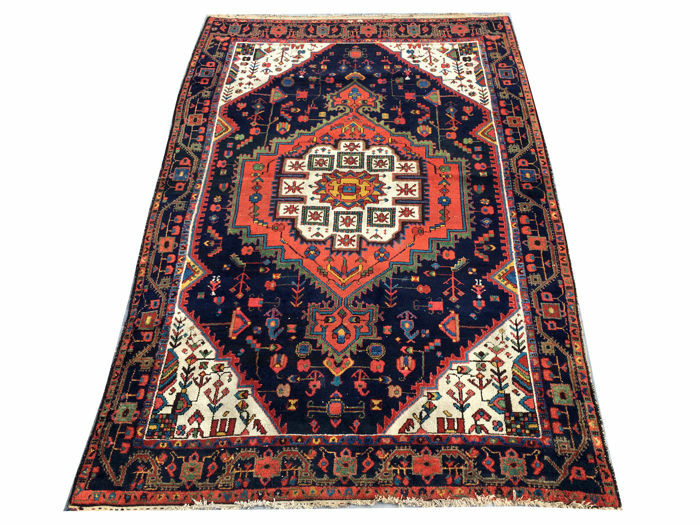 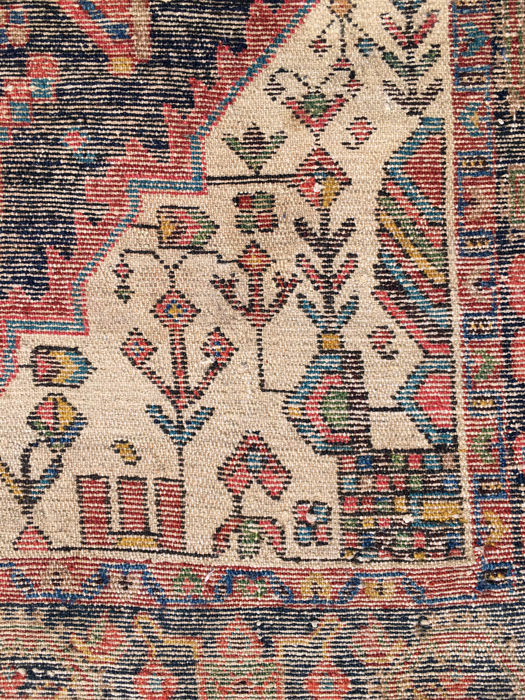 The dyes used for Enjelas carpets are mainly dark red and dark blue, or natural animal beige (used on the edges, less so on the rest of the surface).